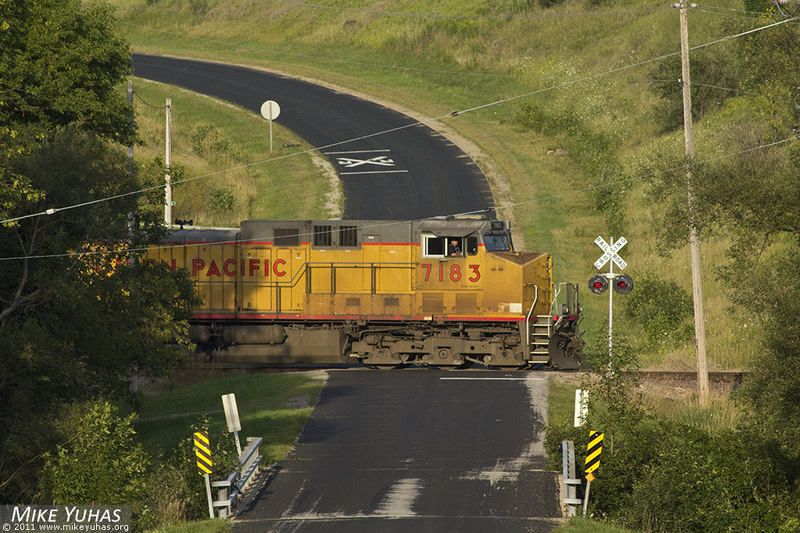 An LPA82 crew handles Sheboygan empties south at Mink Ranch Road. Crew went on duty at 07:59 this morning, cabbed to Sheboygan, pulled empties from the power plant, assembled their train, and headed south for their two hour and twenty minute trip to Butler. They'll arrive at Butler just before expiration of their federally-mandated 12 hours of service are up.